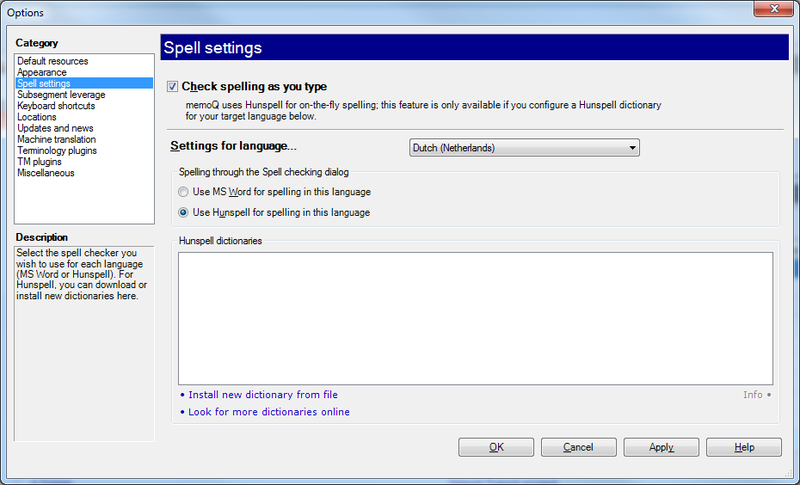 memoQ can download and/or automatically install Hunspell dictionaries using the commands under the dictionary list. 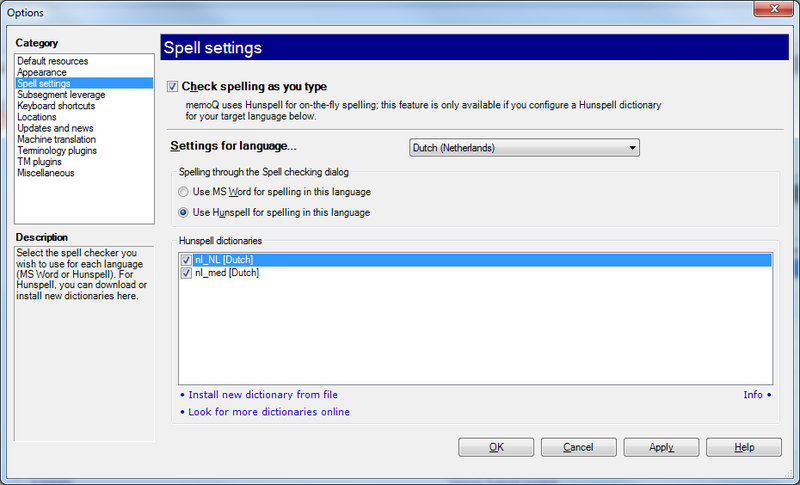 Spelling checks are started via Translation > Spelling... or pressing F7. Dictionary choices can be adjusted on the Options tab. 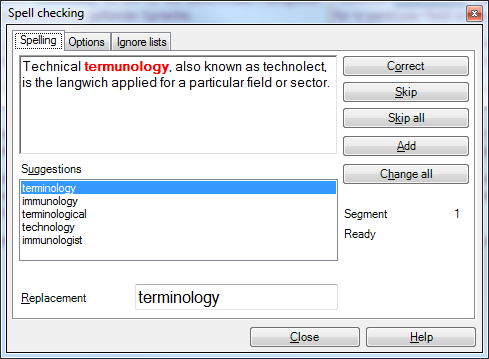 The Ignore lists tab has lists of words which can be ignored while checking spelling. These resources can be saved and shared. It is always a good idea to check spelling and/or grammar after translation using an external program. 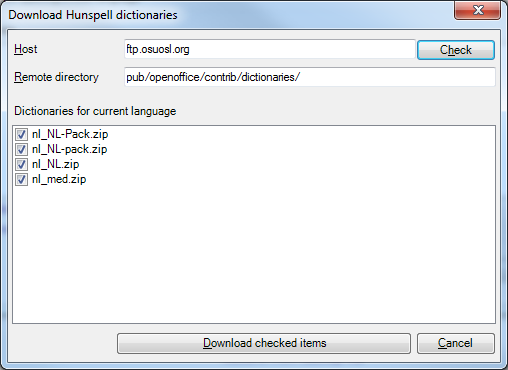 If the original format is not a word processing file, bilingual exports (RTF or DOC) can be used.